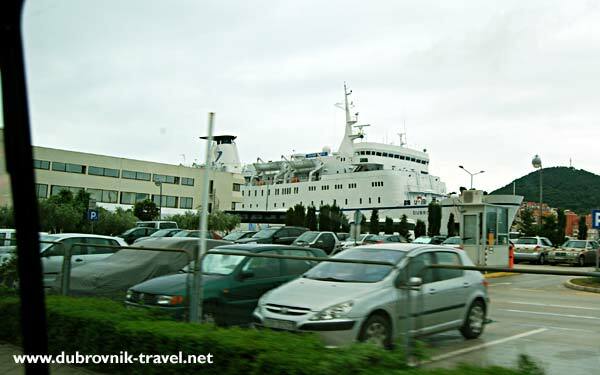 In near vicinity, the terminal is also the main town’s bus station making it easy to get to and from the terminal to other Croatian towns as well as nearby Islands. 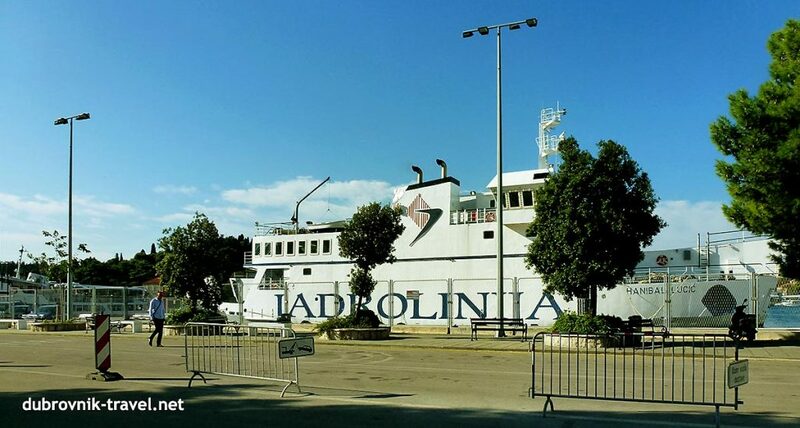 Jadrolinija’s Ferry ‘Hanibal Lucic’, serving Dubrovnik to Elafiti islands routes is docking now in Gruz port. 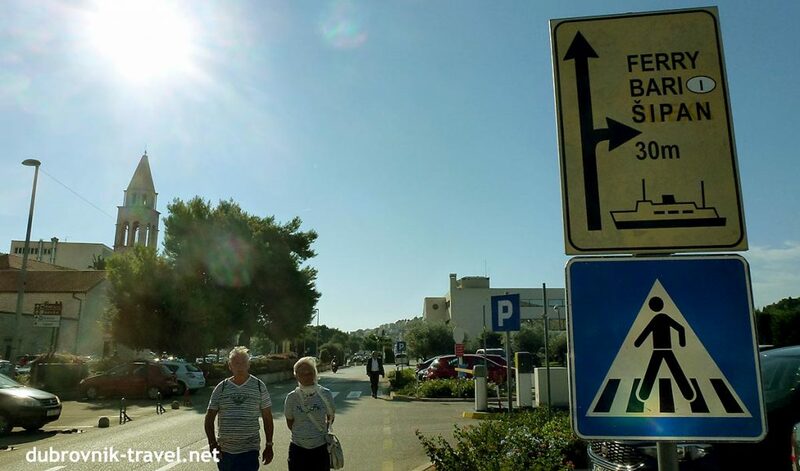 Parking lot in Ferry terminal for a ferry to Mljet Island – there is a parking lot within the terminal where you can leave your car if you need to. 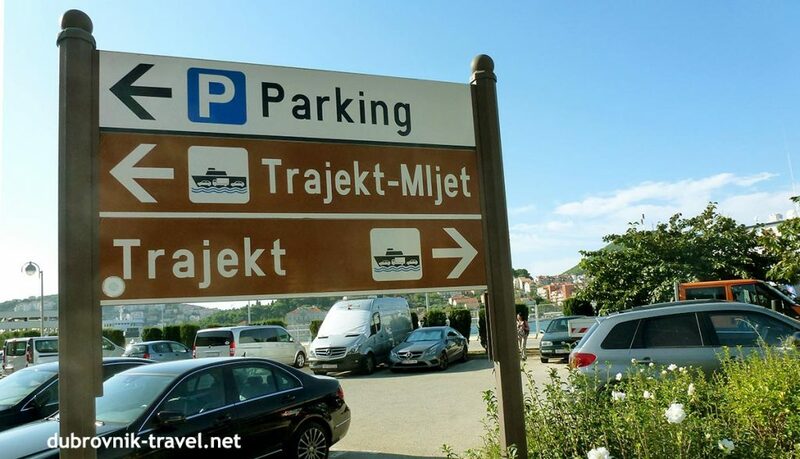 Note – ‘Trajekt‘ in Croatian means ‘ferry’. 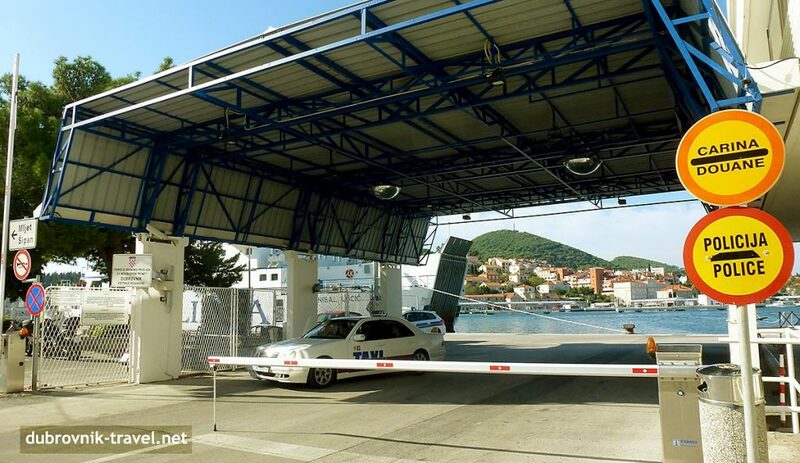 This is exactly the point where you will cross the Croatian border to travel to Italy. Your ferry is docking on the right side of this point, about 30 meters away (see photo below).